Five simple DIY projects you can create with beach sand and seashells! How is your summer going thus far? It’s been super busy around here with camps, day trips and work. I’m enjoying every bit of this time with my family. The other day we had a family movie night, it was so nice to simply hang out and laugh together. Those are the moments I cherish and will miss when they grow up. 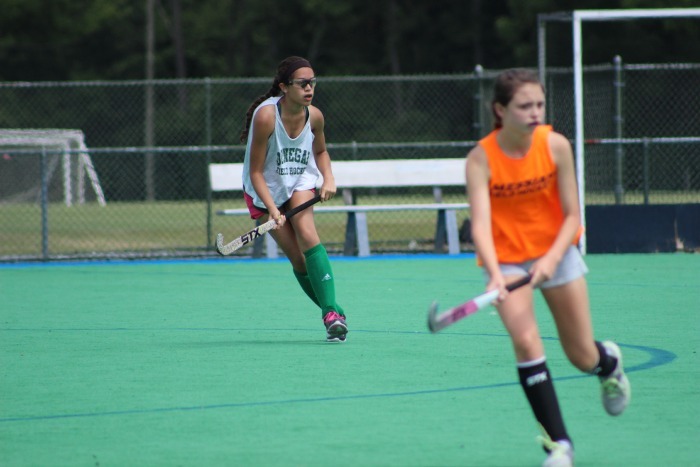 Here’s my oldest in action at her field hockey camp. Her team won the championship after a penalty shoot out! Next month we’re planning a trip to the beach and I can’t wait. Have you been to the beach recently? 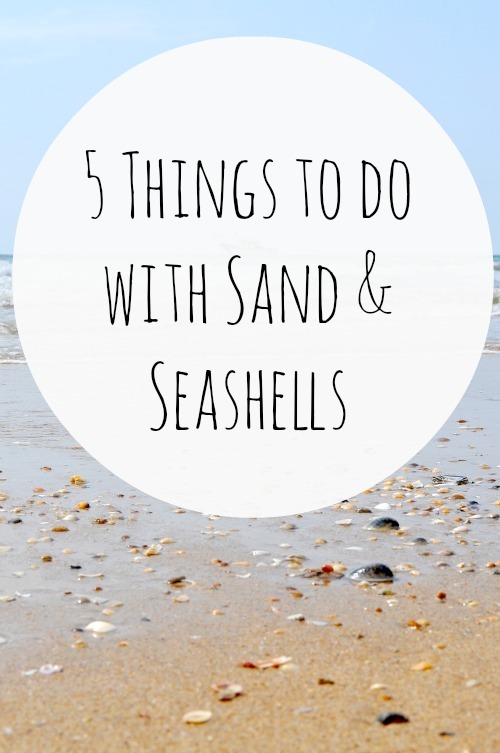 Chances are that you will find special shells and maybe even some beach sand that the kids (or you!) are going to want to bring home. I remember when my kids were toddlers they would fill up their sand buckets with all types of beach goodies. So what do you do with all those sandy souvenirs? Here are 5 ideas for preserving those seashell memories and beach sand. Most hobby stores as well as Amazon have clear plastic or glass ball ornaments. These are perfect for preserving beach memories. Bring home some beach sand and some little shells to make your own Christmas ornament. Just make sure you look for some small shells that will fit in the ornament. You can create a simple wind chime using the seashells and some fishing wire. You will need a drill to make some holes in the shells then just string the fishing wire and attach them to a larger existing wind chime. You can see a tutorial on how to make a seashell wind chime here. If you have sand from a beach that you want to save, layer it with some pretty shells inside a mason jar or decorative vase. Then use a votive candle to create a candle holder. It’s super easy to make and it’s a great addition to any beach theme party or home decor. Pick up a simple, cheap picture frame at a yard sale or thrift store and paint it a solid color. Then use glue to attach some sand around the edges the same way you would use glitter. Add a few special shells to the edges and you have a custom designed beach frame to display your favorite beach picture. I know of one family who brought back seashells from so many beach trips that they were able to use them in their flower gardens. Every year they would add a few more shells to their special garden. Over time some of the shells would break and create a more weathered looking path through the middle of the flowers. They keep some of the larger shells as edging for the garden and use the crushed, broken pieces as a ground covering. How do you display your beach sand and shells? What fun things have you done so far this summer? I’d love to hear! I should use some of my extra ones to make a mobile. Great idea. I picked up starfish on a rope in San Diego last December and the were the colors I decorate with and they just hang from the rope.